Sold on Hiring Data, But Hate the Silos? If you’re thinking, Yes, my recruiters and managers need more data, but I can’t possibly manage ANOTHER HR system, we feel you. Technology is supposed to make your life easier, but often it becomes an administrative mess of logins and passwords. 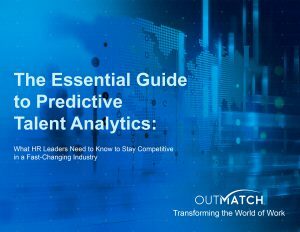 It can be a hassle for you in HR, and also for IT and your end users, but the real problem is that you’re not maximizing the value of your investments when these systems are silo-ed. Some data is better than no data—there’s no doubt about that. 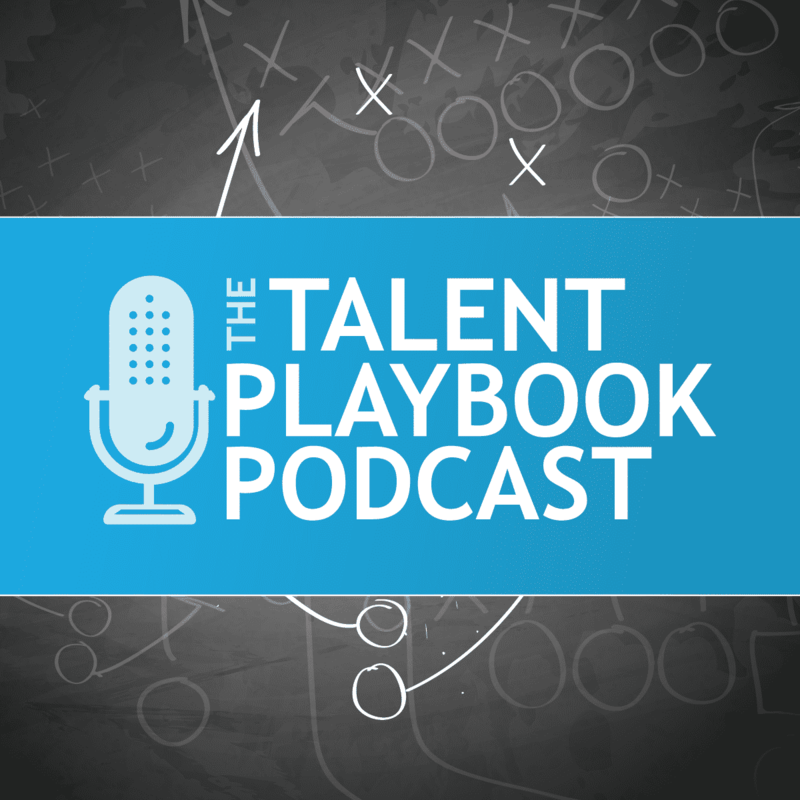 Applications, screening calls, assessments, interviews, and reference checks all deliver valuable data points (especially if you have a process for scoring candidate performance). Your ATS probably automates much of the up-front work, and that’s a great start. But if you’re ready to take your tech savvy-ness to the next level, then it’s time to get serious about integrations. 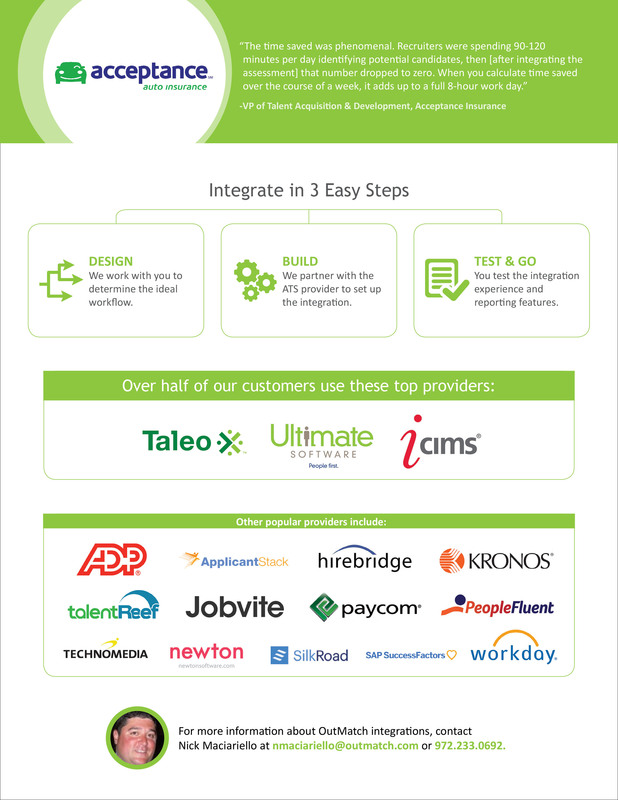 When choosing a software vendor, it’s important to think about how integrations work. Will you be stuck in a bundle (think cable+internet+phone, but who really wants phone, anyway? ), or can you “sync together” several systems from different vendors? With APIs (application program interfaces), anything is possible, but you need to find a vendor that’s willing to work with you. Some assessment vendors, for example, have their own ATS and don’t integrate with others. Getting two systems from the same vendor sounds convenient, but only if you happen to need an assessment and an ATS at the same time. Already have an ATS? Then you’re out of luck for integration, and you’ll be using the assessment as a stand-alone system. Having ATS and assessment data all in one place makes life easier for everyone. You’ll have greater visibility into candidate job fit, plus a comprehensive view of hiring recommendations and assessments scores within the familiar interface you use to move candidates through the hiring process. 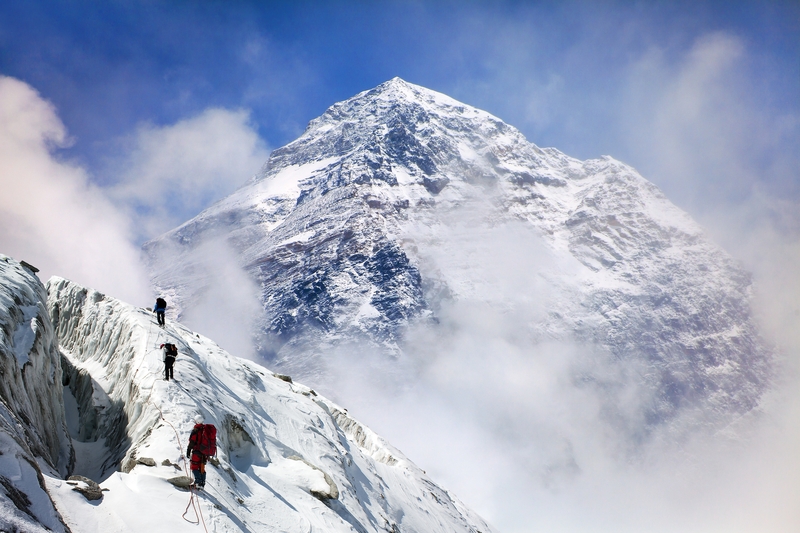 You don’t want high potential candidates falling through the cracks as they jump from one system to another. By integrating assessments with your ATS, you simplify the experience. This provides a “home base” where candidates can work through the process and get to know your employment brand. Depending on the workflow you choose, you can include the assessment in the initial application process (“auto launch”), which will automatically screen out bad fits early in the hiring process. For recruiters, this means HUGE time savings and a higher quality candidate pool to work with. 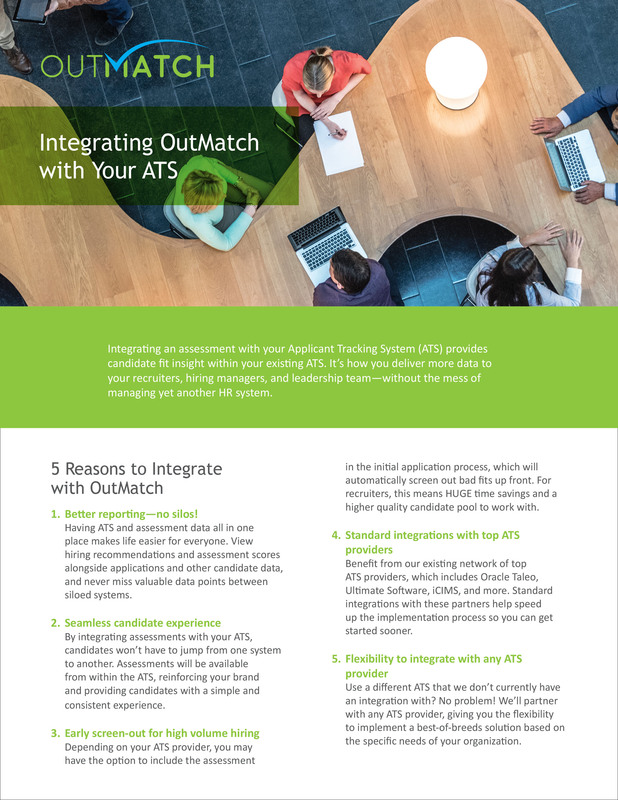 See what Acceptance Auto Insurance says about the benefits of integrating, or check out 5 Reasons to Integrate with OutMatch.